The Himachal Pradesh Judicial Academy should be developed as an international centre on arbitration and mediation, Supreme Court Justice Kurian Joseph said. 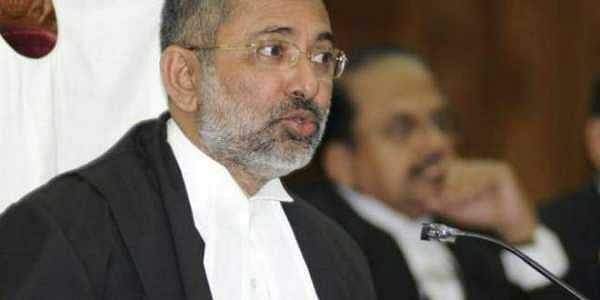 SHIMLA: The Himachal Pradesh Judicial Academy should be developed as an international centre on arbitration and mediation, Supreme Court Justice Kurian Joseph said Saturday. The judge was addressing the state's judicial officials after inaugurating an administrative block, a staff hostel and staff quarters under the first phase of construction at the HPJA in Ghandal, about 30 km from here. On the sidelines of the event, Justice Joseph told PTI that alternative ways of dispute resolution like arbitration and mediation could play a vital role in reducing the backlog of pending cases in the country. He also advocated setting up new courts and appointment of more judges to deal with the pendency of cases. Nearly 2.75 crore cases are pending in courts across the country, according to the National Judicial Data Grid. Justice Joseph and three other Supreme Court judges - J Chelameswar, Ranjan Gogoi and Madan B Lokur - had triggered a controversy in January by holding a press conference targeting Chief Justice Dipak Misra's style of functioning. Justice Joseph said the HPJA was ideally located for its development as an international centre on arbitration, mediation and conciliation. Arbitration is a growing branch of dispute redressal, he added. He also stressed the need for constant training of judicial officers to keep them updated. Such training was also important for lawyers and other stake holders, he added. He said judges are required to be mentally, physically, emotionally and morally fit, ethically correct, intellectually sharp and socially sensitive for delivery of quality justice. Justice Joseph, who was the Himachal Pradesh Chief Justice before his elevation to the Supreme Court, also chaired a colloquium on 'Judicial Ethics and Accountability'. Chief Minister Jai Ram Thakur said the first phase of construction at HPJA has been done in such a manner that it would become a tourist spot in the future. The people of Himachal Pradesh have a great respect for the judiciary and law and order in the state is better compared to the rest of the country, he said at the function.